Enjoy this three-page document which allows students to predict each chapter, summarize it briefly, and make an inference about the important of the chapter's title. 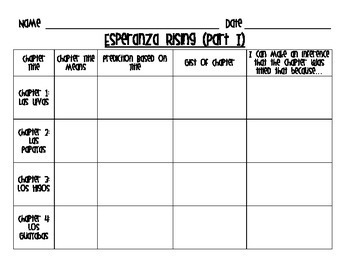 It also allows for students to record the meaning of each Spanish chapter title. Great organizer for students! Please check out the rest of my Esperanza products!